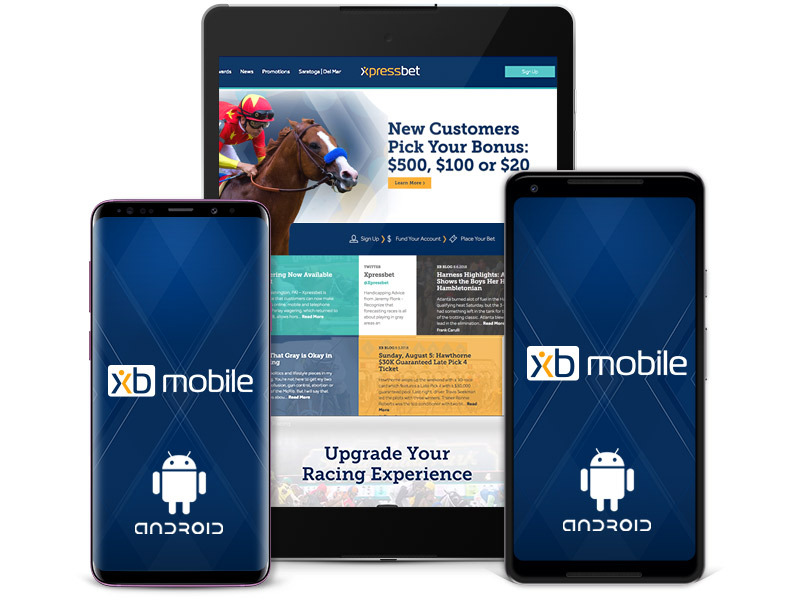 Xpressbet Mobile makes betting the races from your Android smartphone or tablet simple no matter where life takes you! Our easy-to-use mobile wagering platform is available on all of the most popular smartphones and tablets, putting our streamlined wagering interface, live video, up-to-the-minute odds and deposits and withdrawals in the palm of your hand. Never miss post time again…start playing with Xpressbet Mobile today! Tap the menu button in the top-right corner and choose "Special Access"
Scroll down and select "Install unknown apps"
Find and select "Apps & Notifications"
Scroll down and tap "Advanced"
Minimum requirements are Andoird 6.0 and above. Find and select "Lock screen and security" Scroll down to "Unknown sources"
Review the on-screen permissions and tap "Install"
Scroll down to "Apps from Unknown Sources"